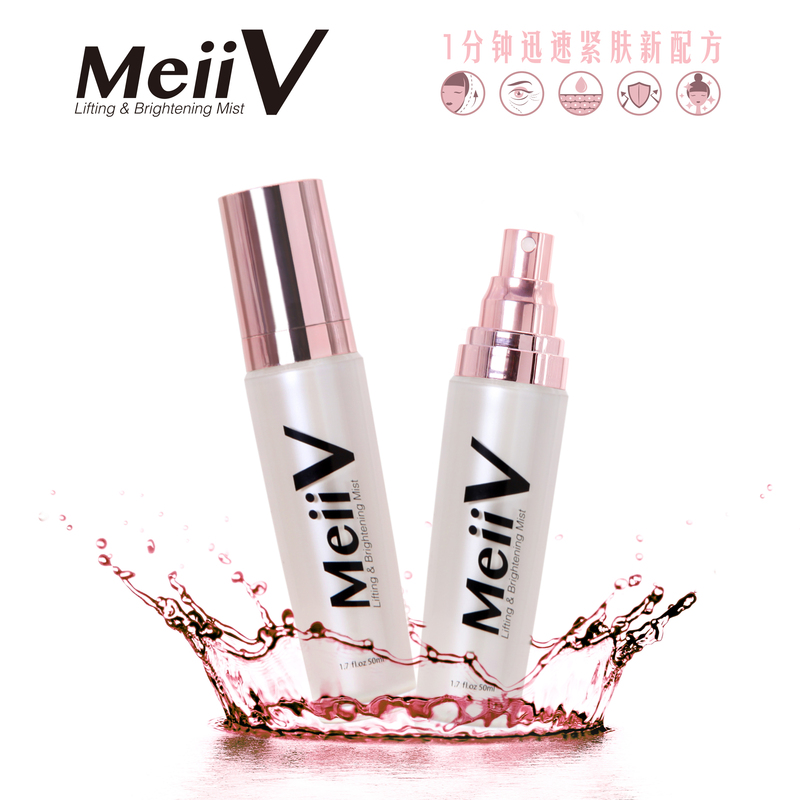 A major breakthrough in skin care science, this premium MeiiV mist has a significant INSTANT LIFTING effect. 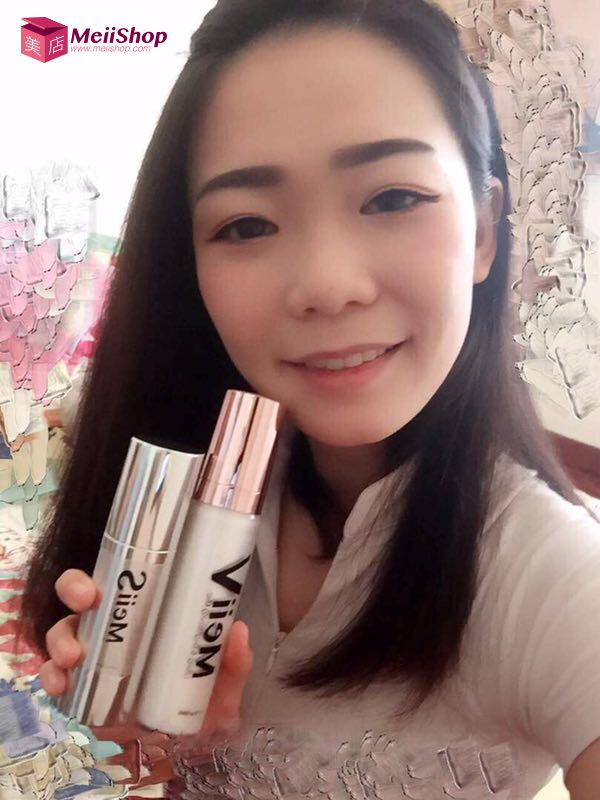 It&apos;s magical mist.And It&apos;s able to last for 8 hours. 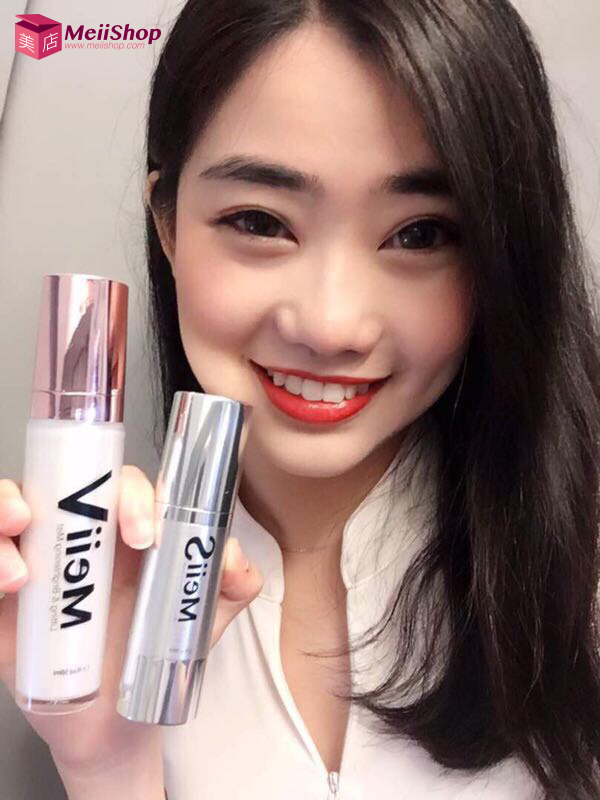 After cleanses and tone, spray Meii V mist evenly on the face and dap for quicker absorption, followed by serums or moisturizer. Avoid eyes area. 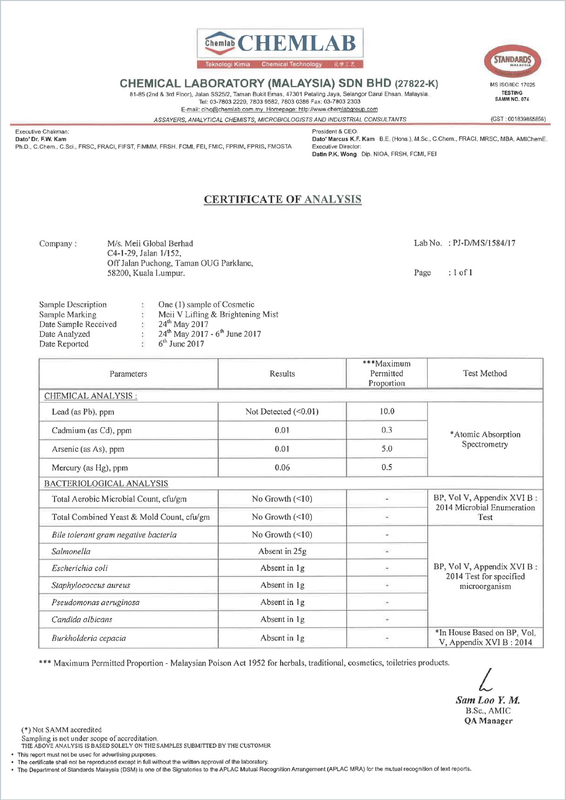 Allantoin, Aloe Barbadensis (Aloe Vera), Sodium Hyaluronate, Avena Sativa (Oat) Kernal Extract, Kojic Acid, Camellia sinensis leaf extract, Tocopherol Acetate (Vitamin E), Potassium Azeloyl Diglycinate, Dipropylene Glycol. 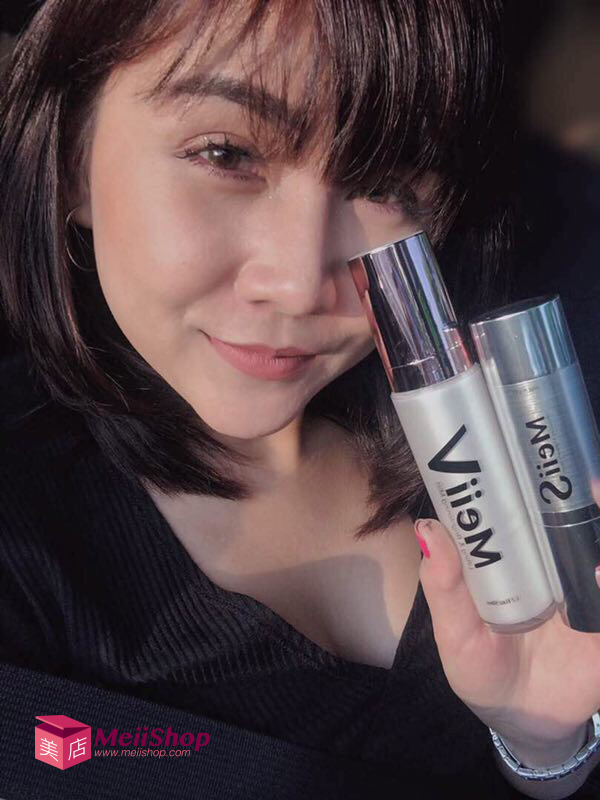 *Results from the use of beauty product above may vary depending upon the individual and will depend on multiple factors, including your age, gender, skin type and condition, use of other products used, health, lifestyle, diet and others.